The author packs a lot of information in this relatively short book. Gates presents the information and describes how to apply the techniques effectively. In Chapter 1, she explains what low emotional intelligence means and the signs to identify it. 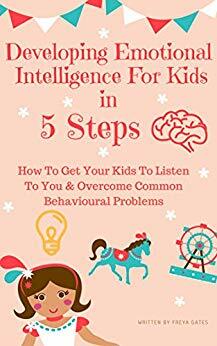 Chapter 2 includes a detailed test that can be used to detect low emotional intelligence and points out possible causes and consequences in children who suffer from it. Once a child has been identified as suffering from low emotional intelligence, there are many ways for parents, teachers, and health professionals to remedy the problem. Gates gives suggestions and then outlines five steps to improve behavior. One of the most important parts of this book follows. The author explains how to use her suggestions in specific situations. This practical application assists caretakers in implementing the program. For those interested in additional research, Gates gives a list of her sources for further exploration. I would highly recommend this book as an introduction to the subject of emotional intelligence.